March 17-19, 2011 at 8 PM. At the FUSE Theatre, 3430 SE Belmont Ave., Portland OR 97202. For more information about CHOP click here. To view a video mini-documentary of the trip to the New Orleans Fringe Festival with CHOP, click here. 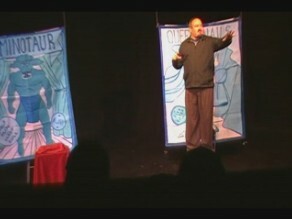 Special workshop: IMPROV FOR THE SOLO PERFORMER taught by Brad McEntire on Sunday, March 20, 2011 at 2 PM. Workshop cost $20. Info here.